Episode 3 of 10 for 10. Ready for another watch? 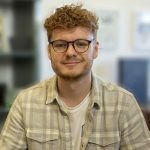 This is a series from WatchGecko that sets out to inform you, the reader about 10 watches branching over 10 different categories that combined offer an extremely versatile, enjoyable and rounded collection. All together coming in at a value less than £10,000. Some watches maybe more expensive, some may be extremely affordable but together they will all come in less than £10,000. Next up is a type of watch which has somewhat been created from the watch community. Unlike divers, chronographs and field watches, the beater watch is a little vaguer in its definition. 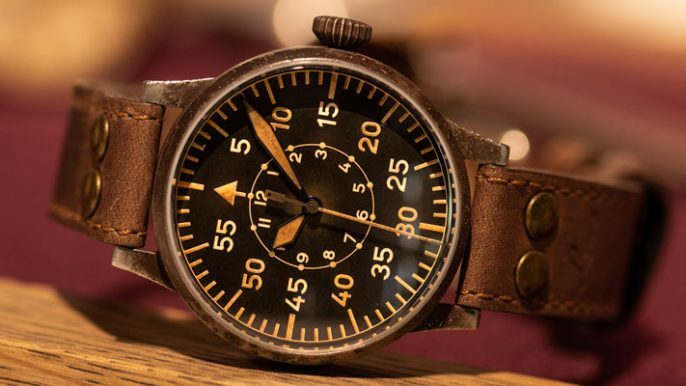 The 'need' for a beater watches was somewhat birthed from the concept of owning watches that the owner would prefer to keep in better condition. A beater watch is something the owner straps to their wrist when doing activities that may involve manual labour, extreme sports or even something as simple as gardening. 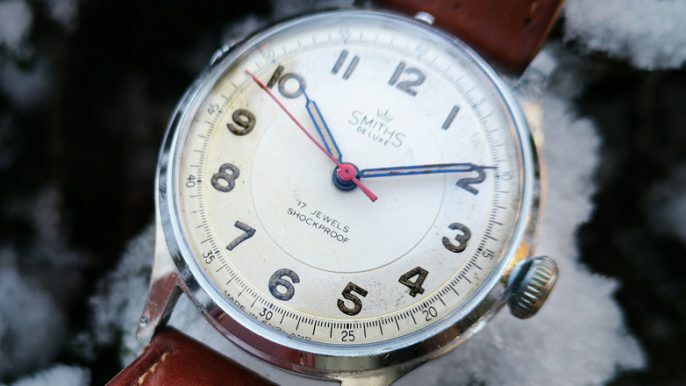 The well being and condition of the beater watch isn't a primary concern for the owner as beater watches are simply there to be the go-to watch for when things get a little more hands on. If you're invested in the watch community (which if you're reading this you probably are) you'll likely be very familiar with this watch. The SKX from Seiko has received success far greater than I imagine Seiko could ever believe. For a model that was introduced in 1996 alongside many other modern divers using the 7s26 movement on the surface, it may come as a shock to see why this specific model has risen to the success it has. 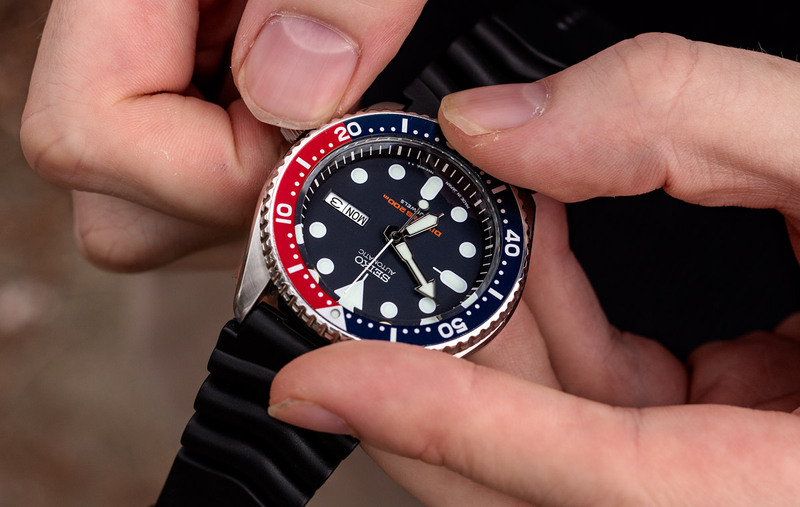 Searching terms online such as 'best entry-level watch' or 'first mechanical watch suggestions' will yield results where the SKX is unavoidable. I think it's time we break down the SKX feature by feature to really understand why. The SKX has had many different examples in its lifetime - however, the particular one we have is the SKX009J1. 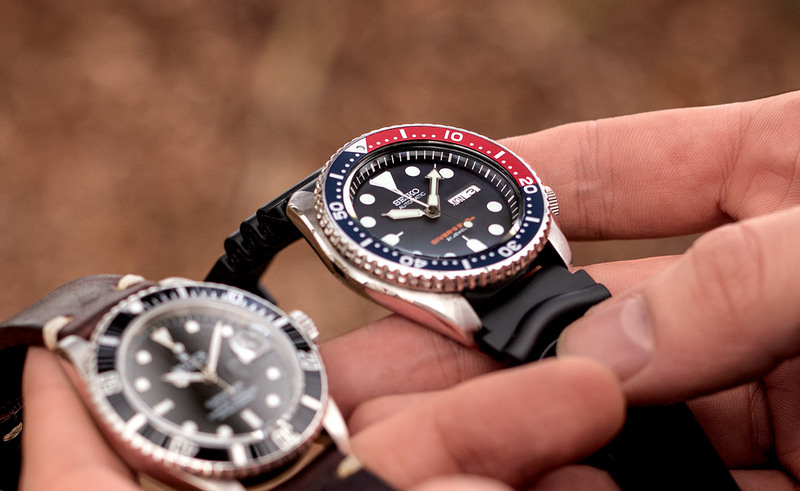 If you're familiar with diving watches the SKX has everything you'd expect to see. The stainless steel sports watch comes in at 42mm wide with a thickness of 13.5mm the SKX is a modern proportioned piece. A lug to lug length of 46mm really assists this piece feel very wearable on the wrist - more on that later. 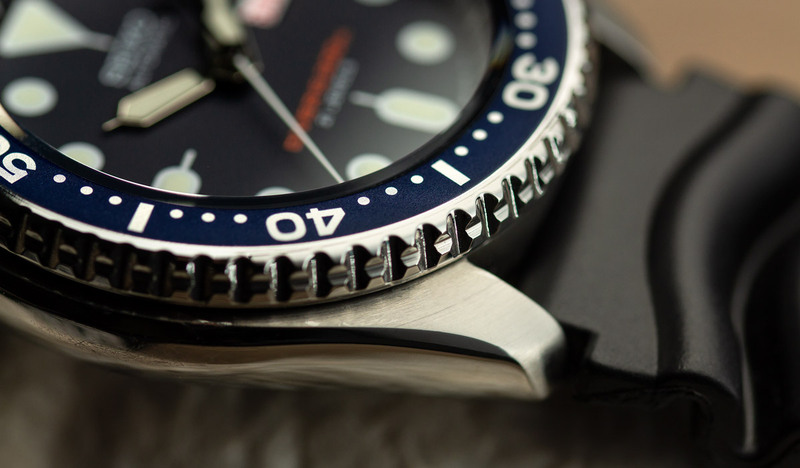 The 009 version has a red and blue 120 click rotating bezel, simple and reassuring to turn on the wrist. Bold hour markers combined with easy to read lumed hands make up the core DNA of the SKX. A raised, angled seconds track can be found on this particular model around the rehaut just adding that further level of depth. The lume used on the watch is Lumibrite, perfectly visible glowing a warm green colour. When the SKX is on the wrist you'll be viewing that dial through a hardlex crystal, this may not be the somewhat standard sapphire crystal we see on almost all watches today, but I don't think you can knock marks off of Seiko here bearing in mind the overall price of the watch. The watch goes a step above average divers by offering both day and date display on the dial at the 3 o'clock position. The watch features a screw down crown at the 4 o clock position assisting the 200m water resistance rating. 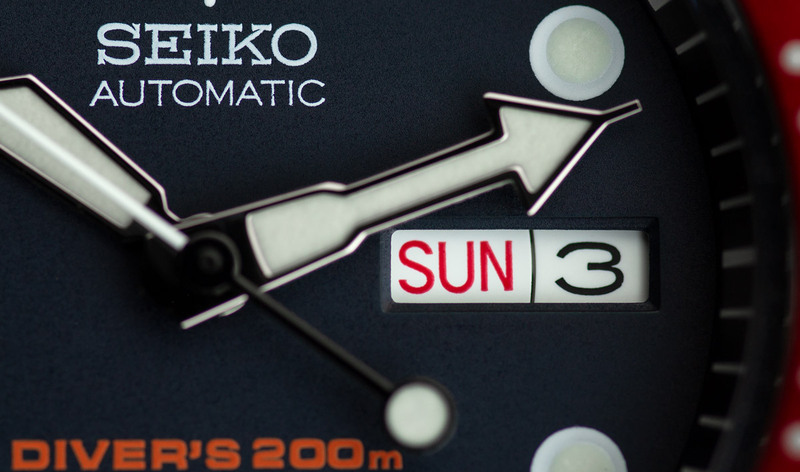 Powering the SKX is the Seiko 7S26 automatic movement. 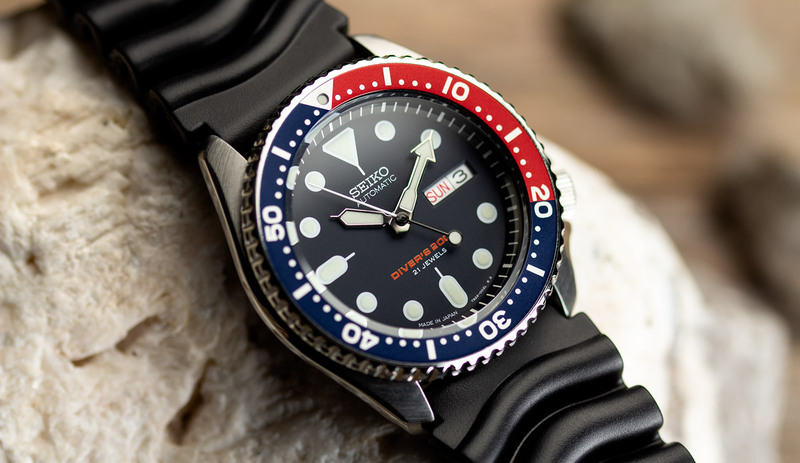 This movement was introduced alongside the SKX back in '96 and has gone on to become a standard option for affordable Seiko watches across many different models. It's robust construction, 41 hours of power reserve and ease of servicing has resulted in it becoming a fan favourite. The SKX wears very comfortably on my 7 1/4 inch wrist. For a wrist which is used to a case width of 40mm maximum, I do enjoy strapping this 42mm diver to the wrist every now and then. 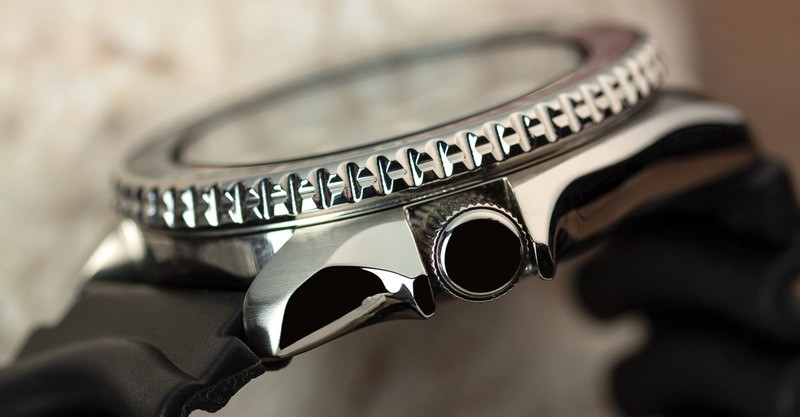 One key feature of how a watch wears on the wrist is actually the lug to lug length of the case. Commonly we all look to case width to determine how a watch would wear - however lug to lug is equally as valuable information, case in point this SKX. When wearing the SKX, I used the watch for all manner of activities with no issues at all, the SKX took them all in its stride. The watches wearable proportions and highly legibility dial makes it perfect for use more active work. The thickness of the piece doesn't feel too bulky at all. It's 13.5mm thickness is a broken up into an 8mm thick case with a 5.5mm thick bezel, meaning you don't notice the bezel as much on the wrist when looking from the side of the watch. Is the SKX the modern day Submariner? 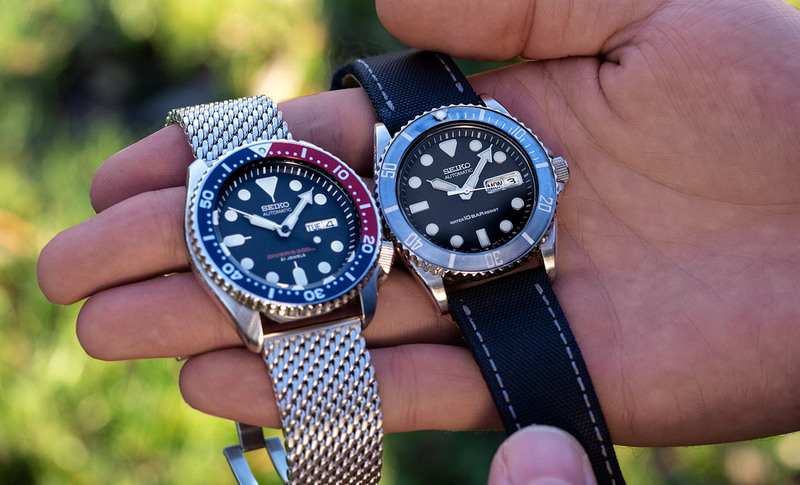 Many people who are apart of the watch community will occasionally say they think Seiko and specifically the SKX are the present day pre-luxury versions of Rolex and the Submariner. If we just look at the two watches and what they offer the owner then similarities are strong. Both have rotating dive bezels, inform the reader of the time and date at a glance, both use stainless steel case and both are reliable as ever. Realistically, most if not all divers will be wearing a diving computer on their wrist nowadays rather than a mechanical watch. The ones who still wear mechanical watches, I can only imagine they won't be reaching for a £6,500 watch to take with them. And this is the same not just for diving. The majority of wrists spotted doing work that requires a beater watch to be worn, will have a watch from the likes of Seiko strapped to them. 60 years ago, this was Rolex so I do understand the comparisons. 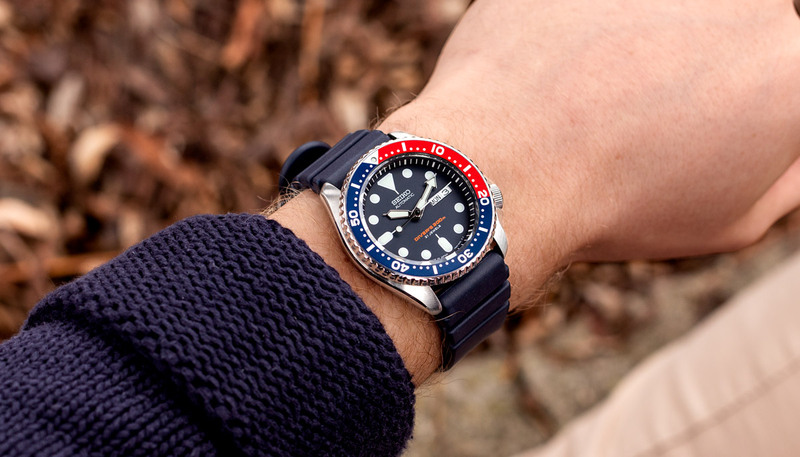 One key point that can be credited to the SKX as a positive is the continual rise in popularity of sports watches and the evolutionary advancements towards their increased versatility. 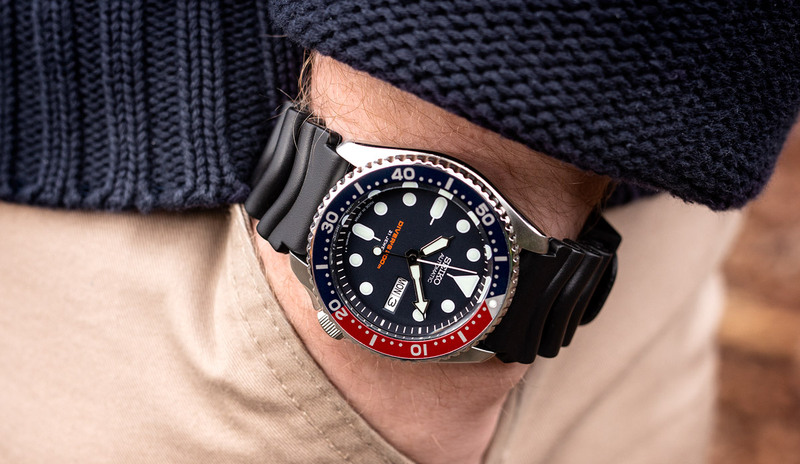 This is something I have mentioned on the WatchGecko blog before (funnily enough talking about Rolex) so it's hard to imagine the SKX would be so popular if it wasn't for the market's opinion on how versatile diving watches has become. 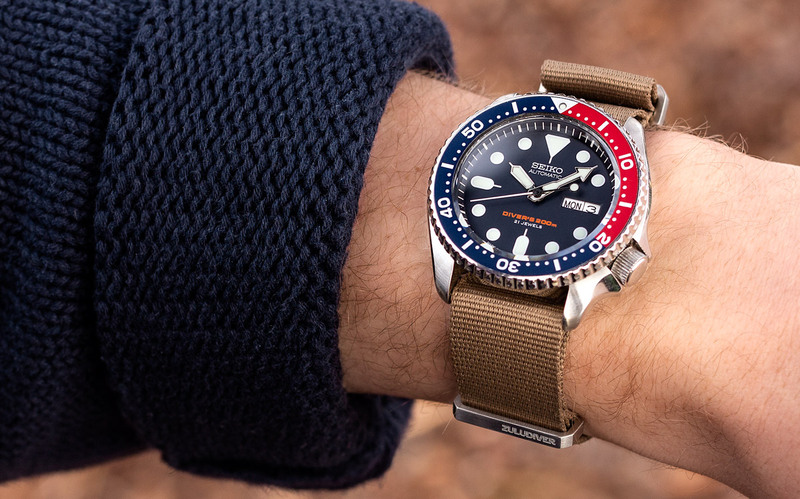 Once again, another strap which works to emphasise the use of colour on the SKX009. The Swiss-Style NATO also has a slightly different design to our standard strap: specifically, the first stainless steel keeper is movable to help you secure the strap exactly as you want it. The hardware on the strap also receives an upgrade with a more chunky, unique aesthetic. 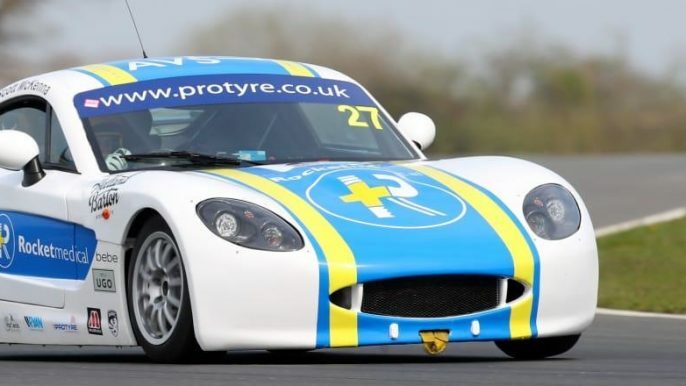 Coming in at 330m in length there is plenty of options for a range of wrists sizes as well as plenty of space to tuck the excess strap back into the keepers. The 284 from our ZULUDIVER collection on the surface is very similar to the standard Seiko strap, however, it favours a highly durable Italian rubber material which boasts many great properties. Freshwater, salt water and UV, all things this watch strap is resistant to making it ideal for all manner of activities. I found the blue version of the strap received the most wrist time, picking up on the blue found on the Seiko's bezel. Finally, we have something a little different. The Gallox Mesh bracelet combines the stylishness of mesh straps with the practicality of chunky solid deployment buckles is this unique hybrid. This bracelet comes with one removable link as well as a range of micro-adjustments on the buckle. Not only does this strap offer a crazy amount of options for different wrist sizes, you also have the choice of two different lengths - either 150mm or 170mm depending on your wrist size. Crown position - for me, I found the crown at the 4 o'clock position more of an annoyance than a positive with the SKX007. I've never felt a 3 o'clock crown position frustrating so would always favour a 3 over a 4. The crown guards on the SKX also don't help the time changing process. Size - Even though the relatively short lug to lug distance helps the watch wear smaller than the advertised 42mm would lead you to think, I still would prefer a slightly smaller watch. This is purely personal taste however, for a 42mm watch the SKX007 wears impressively well. I personally went for the SKX031. This is a sub 40mm cased SKX coming in around 12mm thick. It has the crown at the 3 clock position rather than 4 and has improved framing around the day and date window. This normally comes with a black bezel, however, I've changed that out with a faded one. Unfortunately, this watch has been discontinued making it a little tricky to get your hands on one. 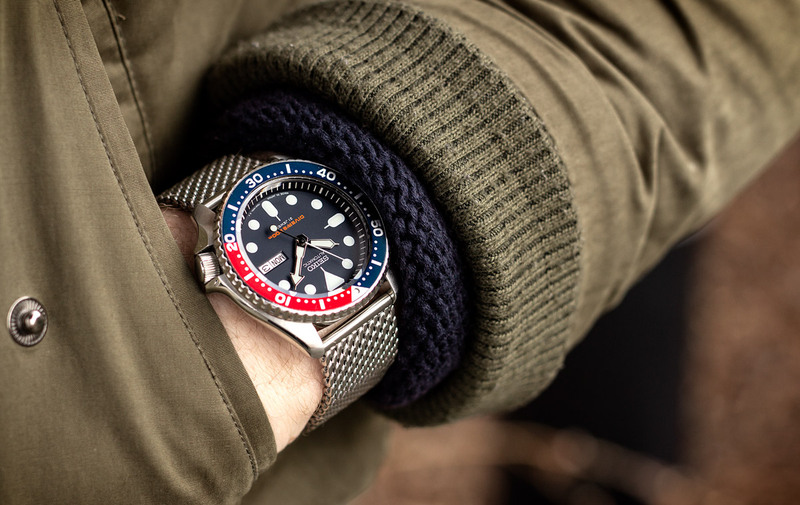 Why the SKX is the go-to 'beater'? 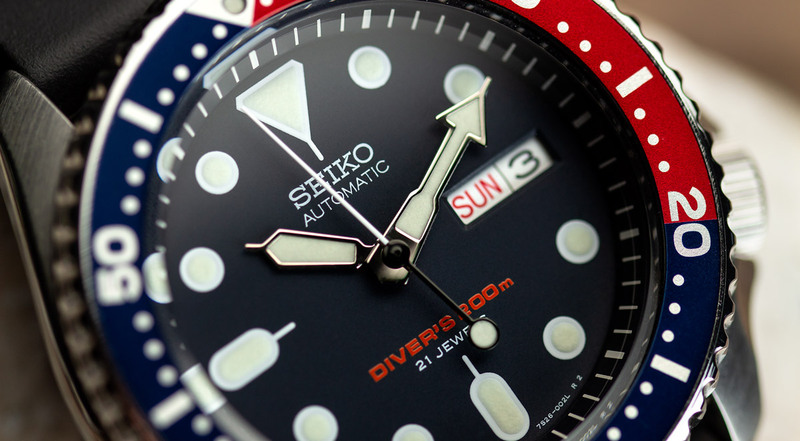 Find out more about the Seiko SKX here. Could you elaborate on the differences between the J and K built SKX versions please? Absolutely - stay tuned to the blog soon! When you say "SKX031" do you really mean "SKX013"? The SKX013 is a smaller version of the full sized watch with the crown at 4, however, the 031 has the crown at 3'oclock is a little thinner and has a little more framing around the day and date window. 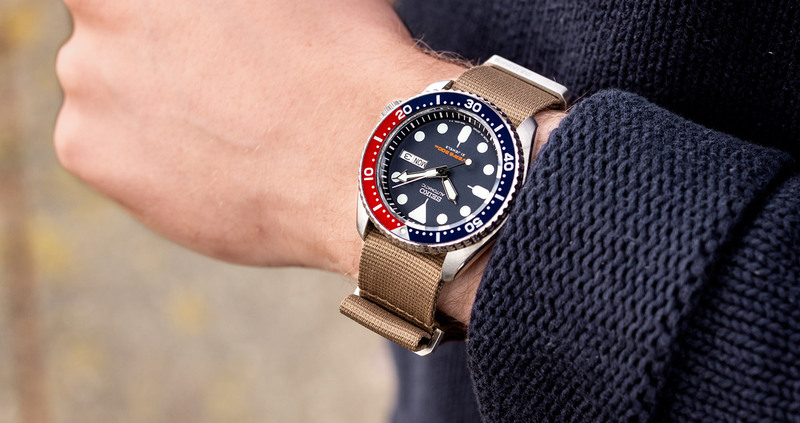 What are your thoughts on the SKX luve being a favorite for modifications? I love the look watch except for the bracelet. Ice always preferred leather or nylon straps especially if they're NATO's. The SKX is great for modding - there is a huge community just around that! What brown leather strap is that on the Sub in the pics?